1.1. What Is a Society? What Is Socioecology? 2.3.3.2. Grouping evolved for protection from predation? 2.4.2.2. Association without active care? 3.1.2. Taxonomy: How many species? 5.1.1. Do gorilla females compete over food? 5.1.2. Is the competition important? 5.2.1. Do gorilla females cooperate in competition over food? 5.2.2. Is the cooperation important? 7.3. Conclusion: Predation or Infanticide? 7.3.3. The hypotheses cannot yet be separated? 8.2.3. Minimal costs to inbreeding? 9.2. 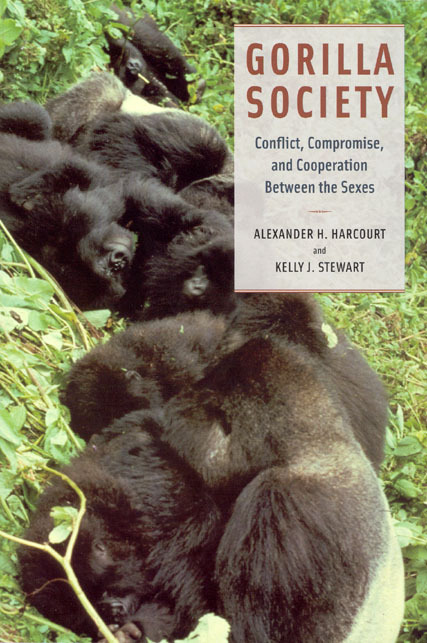 Gorilla Society: An Unusually Strong Influence of Males? 10.3.1. Finding females: Roam or stay? A robust model, and therefore the right answer? Are female strategies irrelevant to males? 11.2. Maturing Males: Stay or Emigrate? 11.2.2. Why dominant males tolerate younger rivals? 12.4. Males and Society: A Familiar Case Study? 12.5. Males and Society: An Unfamiliar Case Study? 13.3.1. Phylogeny, environment, and society? 13.3.2. Diet, competition, cooperation, and grouping? 13.3.4. The fate of dispersers? 13.3.6. Sexual selection, environment, and society: Predation versus infanticide? 13.3.7. Schemas, quantification, modeling, and experiments? 13.3.8. Communication between primate socioecology and human socioecology? 14.1. Conservation’s Five Questions: Why? What? How Much? Where? How? 14.1.5.2. Protected areas and tourism? 14.2.2. How can socioecology help? "A robust contribution to the study of how evolution of survival, mating, and rearing strategies interacts with physical and social environments." "A first-rate source for anyone wanting a broad overview of what topics are currently being explored by biologists in this field. The book is well worth the price, and I strongly recommend it to academics and anyone else who is genuiniely interested in learning more about these magnificent animals and what we can do to conserve them for future generations."